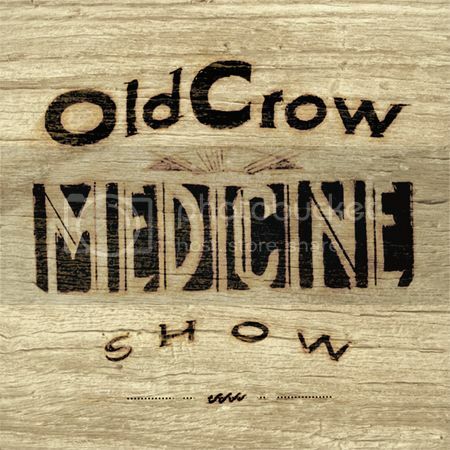 Old Crow Medicine Show (OCMS) are excited to announce the release of their newest album, Carry Me Back, on July 17 through ATO Records. Carry Me Back is the band's fourth studio album and first since 2008's Tennessee Pusher, and features 12 brand new tracks that sonically span the band's career while still pushing them forward in new directions as musicians and songwriters. The album was recorded at the legendary Sound Emporium studios in Nashville (O Brother, Where Art Thou? ; REM's Document; Robert Plant and Alison Krauss's Raising Sand). Carry Me Back was produced by Ted Hutt (Gaslight Anthem, Dropkick Murphys, Flogging Molly). Hutt pushed the band in a whole new way that they hadn't been pushed before. "Ted Hutt asked us to really dig deep as artists, as songwriters, to get to the heart of the matter of these songs and, especially, not to settle for anything less than their greatness," recalls Ketch Secor of the band. Secor is also very proud of the result of the band's songwriting efforts on the album, saying "For me, Carry Me Back is all about the songs, how they line up, intertwine, switch partners, and promenade home. Each of these songs was an accident waiting to happen." OCMS (Ketch Secor, Critter Fuqua, Kevin Hayes, Morgan Jahnig, Gill Landry, and Chance McCoy) will be hitting the road to tour the US this Summer in support of Carry Me Back. The tour begins on July 19 in Indianapolis, IN (prior to this show the band is headlining the ROMP Festival), and includes stops at New York City's Central Park and the beautiful Fox Theater in Atlanta, amongst others. With most of their time spent on the road, OCMS has made a name for themselves as energetic performers with an unbridled spirit. It's a live show not to be missed. "The greatness of an old-time string band lies in its performance," Secor says. "The way it percolates, rattling itself almost to the edge. When you've got a top-notch studio like Sound Emporium, and 12 strong tunes in the works, and the time and patience it takes to get it right--that's when great performances can be captured." For a full list of tour dates, please see below. The Lumineers and Milk Carton Kids will provide support on a number of dates. OCMS is also a part of the tour documentary Big Easy Express, which screened recently at the Nashville Film Festival. The movie documents last year's Railroad Revival Tour, which featured OCMS on tour with Mumford & Sons and Edward Sharpe & The Magnetic Zeros on a tour across the US, where the three bands travelled together on vintage train cars, playing rambunctiously fun shows at stops along the way. Old Crow Medicine show have a long history of success, including sales totaling over 700,000 albums, a RIAA Gold-certified song with "Wagon Wheel," an appearance onAustin City Limits, three performances on Late Night With Conan O'Brien, and multiple appearances on A Prairie Home Companion, various NPR programs and the Grand Ole Opry.